Washington DC (CNN) A touching photograph of several generations of presidents paying tribute to the late Barbara Bush is being warmly and widely circulated on social media. 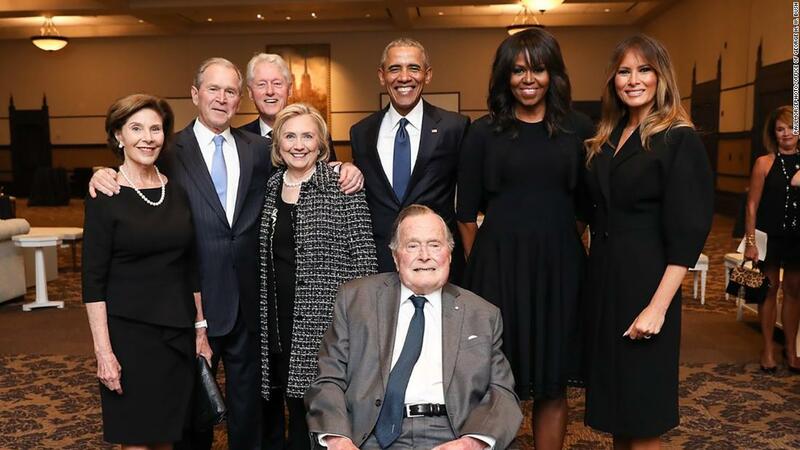 The photo, taken Saturday by Paul Morse, a former White House photographer for George W. Bush, was initially tweeted by Jim McGrath, the spokesperson for George H. W. Bush in his post-White House years. The decision was not uncommon for a sitting president. Neither Obama nor the younger Bush attended the funerals of first ladies during their respective terms. Clinton did attend a graveside service for Jacqueline Kennedy Onassis in 1994. Many were quick to praise the photo, with some commenting on the character of the former leaders — and possibly making veiled digs at the present commander-in-chief. Hours before the funeral, Trump had been tweeting insults about New York Times chief White House correspondent Maggie Haberman after she reported on his sometimes poor treatment of his personal lawyer, Michael Cohen, who the newspaper said might ultimately cooperate with federal officials investigating him. 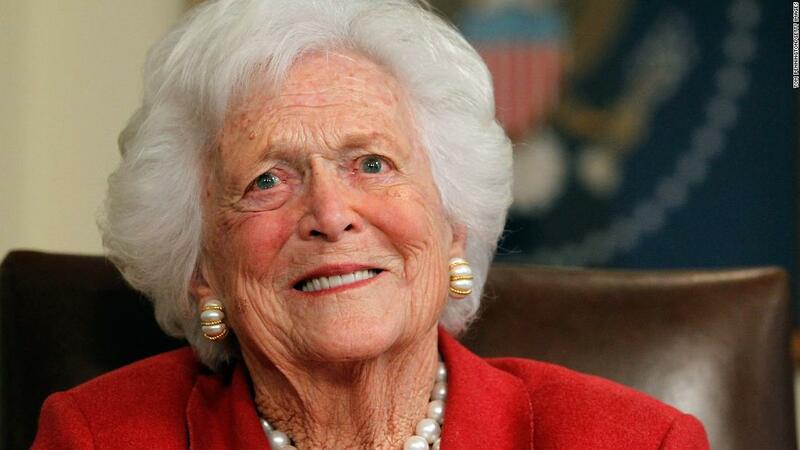 After leaving his Trump International Golf Club in West Palm Beach, Florida, at just before noon, the President tweeted about Barbara Bush along with a photo of her White House portrait. 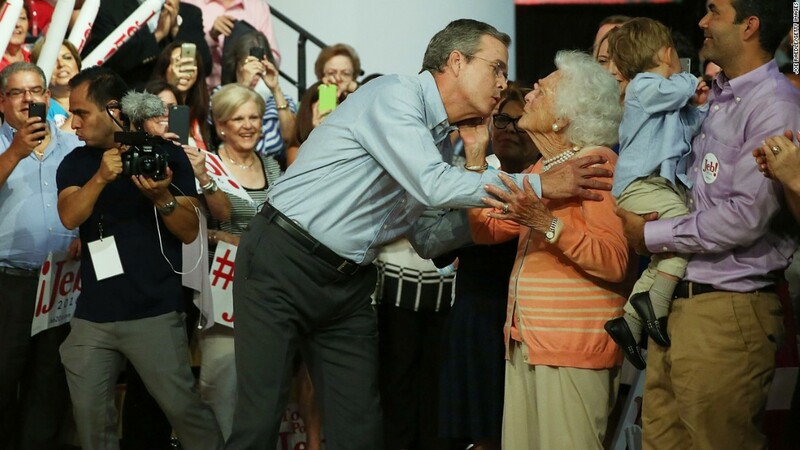 “Today, my thoughts and prayers are with the entire Bush family,” he wrote. “In memory of First Lady Barbara Bush, there is a remembrance display located at her portrait in the Center Hall of the @WhiteHouse. CORRECTION: This story has been updated to correct the spelling of David Priess’ name.